We’d like to wish all of our WeAllSew fans a very happy handmade Halloween! If you’re planning on putting on your costume today, don’t forget to pick up your phone and snap a selfie of your costume to enter our Instagram contest for a chance to win a brand new bernette Chicago 5 sewing machine! But hurry, you have just until the clock strikes midnight here at BERNINA Headquarters to enter (that’s 11:59 pm on Friday, October 31st Central Standard Time). Simply visit the contest page here to register and get all the details. 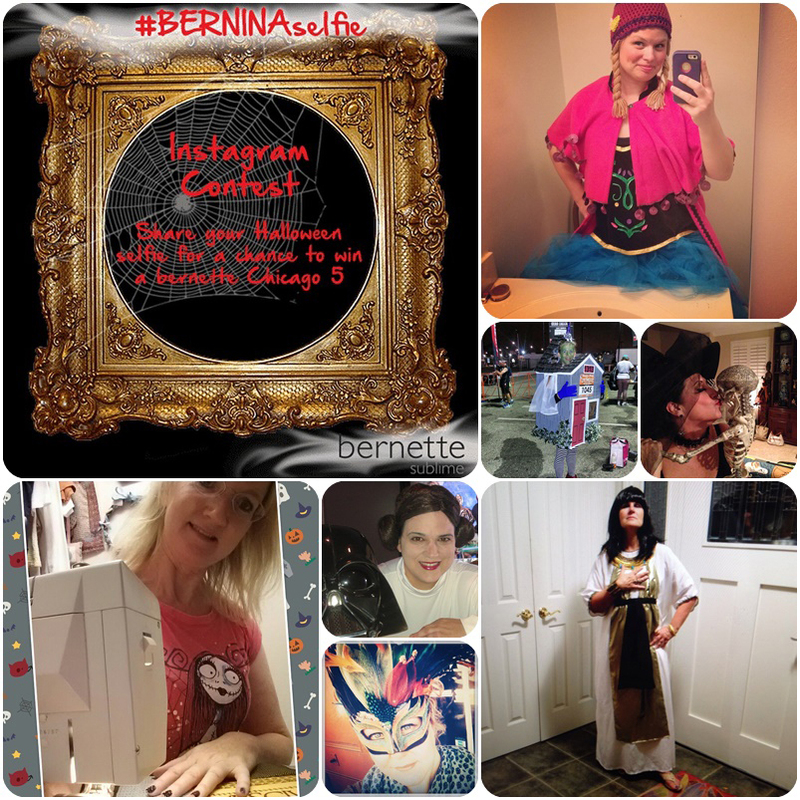 Here’s a smattering of some of our fans’ #BERNINASelfies from the Instagram contest, and we’d love to see yours added, too!